Dark circles, eye bags, and puffiness can give even the freshest face a tired appearance. These common eye woes can be frustrating, but they should never keep you from putting your best face forward. We've put together a seven-step guide to your brightest eyes yet. These products and practices are the key to youthful eyes, whether you manage to max-out your beauty sleep or not. Why do dark circles and bags happen in the first place? In fact, there are many reasons puffiness and discoloration can appear in the eye area. The skin under the eye is very thin and delicate. When blood vessels become dilated, they can cause a blue-tinted shadow to show through the skin. Blood vessels can become more visible because of allergies, lack of sleep, dehydrated skin, stress, too much squinting and even genetics. Of course, it's also easy to go overboard on drinks, stay up too late and indulge in salty snacks. It happens! Sometimes, on the other hand, you do everything right. You hydrate, get plenty of sleep and apply an eye cream before bed. And yet, you still wake up with dark circles and puffiness. These symptoms can leave you looking exhausted even when you feel well-rested. Thankfully, all hope is not lost. There are many measures you can take to prevent and minimize dark circles, puffy eyes and fine lines. If you follow these steps, you'll be looking bright-eyed and bushy-tailed in no time. Here's how to get your regimen in tip-top shape. 1. Prevent dark circles and undereye bags from the get-go. There are many preventative measures you can take to defy dark circles. To start, sunscreen is an essential anti-aging treatment that protects the delicate skin under the eyes. Sunscreen helps avoid any hyperpigmentation that can change the color of the skin. If you’re looking for a great SPF that goes beyond concealing dark circles, Clarins' Mission Perfection Eye targets stubborn brown and blue dark circles that permanently darken eye contours while protecting your skin from harmful UV radiation. A powerful blend of Acerola extract and Escin from Horse Chestnut extract, this product visibly minimizes brown dark circles for brighter, younger-looking eyes and leaves your eyes looking rested and radiant. Another tried-and-true method for avoiding dark circles and puffiness is to get a full eight hours of sleep every night. When you don't get enough sleep, the blood vessels under your eyes expand. This makes them more visible through the thin skin and can cause the appearance of a dark shadow. It's not just about how long you sleep — it's also how you sleep. According to dermatologists, the best sleeping position is on your back. Sleeping on your back rather than your side or stomach prevents fluids from accumulating in the undereye area. These fluids create puffiness and bags under the eyes. Bags create even more shadows, which are harder to cover up with concealer. Sleeping on your back has another benefit: it helps prevent premature wrinkles by allowing gravity to work in your favor. If you do sleep on your side or your stomach, dermatologists recommend using a silk pillowcases. Normal cotton pillowcases can cause friction and even tug at the skin. Silk pillowcases, on the other hand, allow your skin to slide against the pillow. Your future skin will thank you! Even if you take every preventative measure in the book, you might still wake up with dark circles under your eyes. To prevent puffiness and dark circles, start by determining the cause of your condition. Once you understand where your dark circles are coming from, you can select the products that are created to combat the condition. To begin, take note of what color the shadows under your eyes are. If your circles are more blue in color, they are likely due to oxygenated blood collecting under the eyes. Blue circles under the eyes become more common as we age due to the inevitable loss of fat and collagen. Lying down for a long period of time can cause these fluids to accumulate, so blue dark circles are more common in the morning. So how can you get rid of blue dark circles under eyes? Try sleeping with your head elevated by using an extra pillow. This can help keep fluids from pooling. As another trick, try applying a cold compress for five minutes in the morning. This can constrict blood vessels and help visibly reduce blue dark circles under eyes. If the shadow is more brown in color, your dark circles may be due to hyperpigmentation. Hyperpigmentation is caused when too much melanin is produced in certain areas on the skin. This is usually caused by genetics. There's not much you can do about genetics, of course, but pigmentation can also be caused by sun exposure. Whether you have dark circles or not, it's essential to apply sunscreen daily. For an added boost, opt for a foundation with built-in SPF. Clarins' Extra-Firming Foundation has an SPF 15 so you're always protected. This creamy, rich and oil-free foundation combines exceptional skin firming and age-fighting ingredients for a younger-looking complexion. As a result, your skin looks smooth, even and radiant. 3. Soothe bags under the eyes. If your dark circles are accompanied by puffy bags, deep wrinkles and crow’s feet, the culprit is likely loss of collagen. 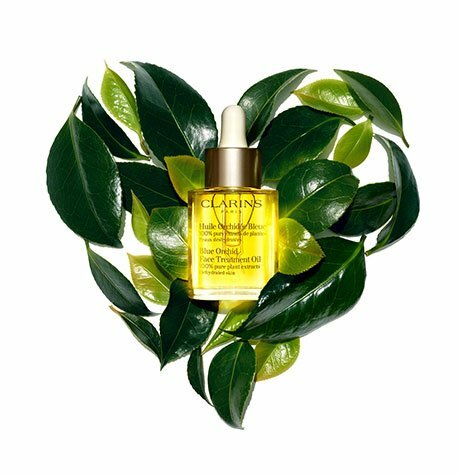 Look to an eye cream like the Clarins' Super Restorative Total Eye Concentrate. This visibly firming, anti-aging eye serum is powered by Organic Harungana extract, the “healing” plant from Madagascar. This all-in-one eye contour cream targets all visible signs of aging, temple-to-temple. The serum visibly reduces the appearance of eye bags, while visibly lifting and illuminating eyelids for a more youthful look. If you need an extra boost before a big event, try the Hydra-Essentiel Moisturizing Reviving Eye Mask. This cooling cream-gel hydrating mask is made with super-quenching Organic Leaf of Life. The mask instantly revives puffiness and tired-looking eyes for a fresh, rested effect. The lightweight mask can be used as a ten-minute express mask or left on all night for an intensive dose of moisture while you sleep. 4. Mask imperfections with a concealer. What is the best eye cream for dark circles? Clarins’ Mission Perfection Eye Broad Spectrum SPF 15 is a lightly tinted, illuminating eye contour cream with Vitamin C. Not only does the tinted cream conceal dark circles, but it's packed with ingredients that help fight dark circles. The cream is made with Acerola extract, which is rich in Vitamin C, to visibly minimize brown dark circles. Escin from Horse Chestnut targets the appearance of blue dark circles caused by lack of sleep and fatigue, so eyes look well-rested, radiant and refreshed. If the lightly tinted eye cream doesn't offer enough coverage, choose a full-coverage concealer to mask unwanted circles. One concealer that can match a wide range of skin tones is the Clarins Instant Concealer. This concealer offers tinted correction for all types of dark circles. The powerful product conceals shadows and signs of fatigue, restoring a natural skin tone to the eye area. Its long-lasting, fluid texture blends flawlessly and smoothes eye contours. This concealer provides medium to high coverage. As an industry secret, makeup artists recommend choosing a concealer with a pinkish hue to neutralize blue shadows. 5. Apply your concealer, serum or eye contour cream correctly. Once you find the right eye cream and concealer for your complexion, you'll need to know how to apply it correctly. Proper application of eye care products is key to achieving optimal results. 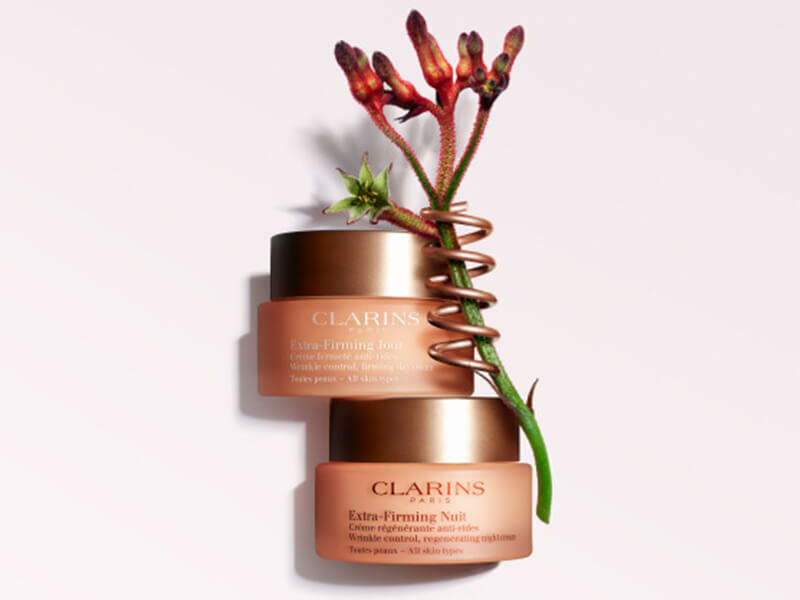 Clarins’ Draining Pressure Method, when applied around the eye area, promotes microcirculation to visibly reduce dark circles, eye bags and wrinkles without stretching the delicate eye contours. Bring a small amount of product to skin temperature by warming it between your fingers. This way, your skin accepts it instantly. Press gently with the pads of your fingers, starting at the inside corners of eyes, working along the eyelids and outward toward temples. Repeat three times below and above eyes, following the natural direction of lymphatic circulation. Help visibly smooth the appearance of frown lines by sweeping upward between eyebrows with fingertips. 6. Add a final flourish. Makeup artists have plenty of tricks for working with exhausted brides, models and movie stars. One trusted technique for brightening the eye area is to brush a light-colored, iridescent eyeshadow into the corner of each eye. A touch of shimmer adds lightness to the eye that is restorative and brightening. A great choice is the Clarins Ombre Iridescente eyeshadow. This rich, cream-to-powder eyeshadow becomes one with the skin, delivering a silky finish and a pure, even, shimmering color result. Clarins Laboratories have blended iridescent, soft-focus pigments with bamboo powder for stay-true brilliance and long-lasting wear. A Vitamin E derivative keeps lids feeling comfortable. The eyeshadow casts a soft, pearlescent glow during the day. It's also gentle enough for sensitive eyes. Depending on your complexion, you might go with the warmer silver ivory shade or the cool silver white. Follow these steps to defy eye bags and dark circles. You'll be rewarded with bright, youthful eyes and a well-rested glow.